Fascias, soffits and guttering are a practical and easy way to add definition to your home, whilst maintaining your roofline. Utilising modern manufacturing materials and expert installation techniques our selection of roofline products allow you to enjoy complete peace of mind when it comes to a lasting and high performance home improvement solution. We offer a wide selection of roofline products in Great Dunmow, providing you with the complete package of fascia’s, soffits and guttering. Our expert team are well versed in installing our roofline products onto a comprehensive selection of property styles; it won’t matter if your home is modern, traditional, period or heritage, we’ll have the right option for you. We also give you colour choice and low maintenance long lasting style options, which means you’ll be able to customise your roofline to suit both your tastes and your preferences. We work closely with you to ensure you get the perfect new addition to your home, that not only serves as an enhancement of your property but also as an extension of your character. Our market-leading roofline products feature an extra layer of uPVC. This layer helps reduce the amount of heat absorbed by the gutter and in turn, reduces the amount the gutter expands and contracts as it warms up and down. This means that your home will be protected no matter the season, throughout the heat of summer, or cold of winter, they will continue to perform. Expansion can often lead to bowing or twisting, which can cause performance and appearance problems for your home. This also means that your roofline won’t fail you when you need it, we pride ourselves on offering home improvement solutions that are designed to excel in all areas of performance and design. Our guttering has been designed with red long-life advanced compressible deals, which means they will continue to perform even after extensive exposure to the elements. These seals have flexible, water-tight joints which allow the gutter to move. All done without noise and without any gaps which cause leaks. Due to their modern design, our guttering can withstand heavy downpours without compromising their performance or appearance. In line with the British weather, this means that your home will remain protected from leaks and water ingress throughout the year. It’s never been easier to enjoy the best for your home. Has your roofline seen better days? Replacing your roofline will not only improve the value of your property but will also ensure your home is protected from the elements. Our products are built to last and are virtually maintenance free – the only requirement being an occasional wipe clean to ensure an ‘as new’ appearance. All our roofline components are also designed to fit and work together. This means you can choose a colour to match both fascia and soffit. Whether you’re looking for a traditional charm or a modern flair, we’ll have something to suit. All of our colours are applied with a long lasting coat to ensure they do not flake or peel over time. Soffits and fascias play a key role in the appearance and protection of your property. If your roofline is neglected, it can alter the effectiveness of your drainage. Our quality replacement roof fascias will look great as well as working effectively to maintain a strong and durable roofline. Our products will simply offer you more. A poorly performing roofline can prove to be highly detrimental to your comfort when you are home. 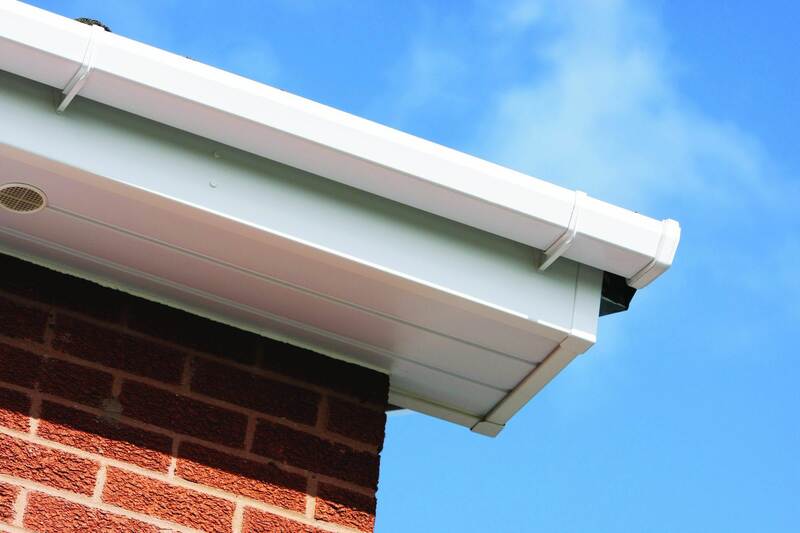 Fascias, soffits and guttering play an important role in channelling rainwater away from your home, as well as regulating temperature and condensation. Replacing your roofline will enable you to enjoy peace of mind all year round. Our expert team can professionally install any roofline product. All our uPVC products are low maintenance and offer superior weather performance, ensuring you get the very best investment for your home at a price that you can afford. We make it easy for you to enjoy market-leading home improvement solutions. Contact us today on: 01371 821917 or 07809576227. A member of our professional team will be on hand to answer any questions or queries that you may have. We have refined our customer service over the years to ensure we always work to a prompt, efficient and effective manner with every call that we handle.